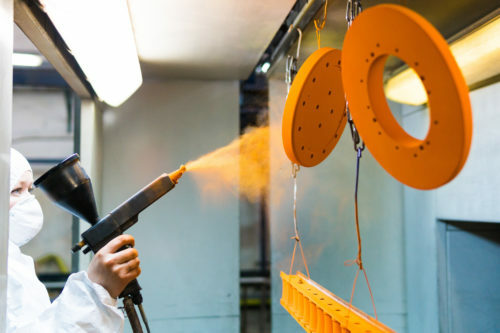 Powder Coating Services - Trans-Acc, Inc.
Trans-Acc powder coating services provide our customers with durable, environmentally-friendly, cost-effective coatings for their products. The application process starts off dry, so there are no drips, runs, or bubbles to the finished product. The powder coated product is heated in one of our curing oven systems until the powder paint melts and bonds to the substrate. The end result is a uniform and consistent coating that is both durable and aesthetically pleasing. Our process is known for being environmentally friendly because it does not use the solvents found in other coating processes. In addition, the dry powder can be reclaimed, further reducing waste. 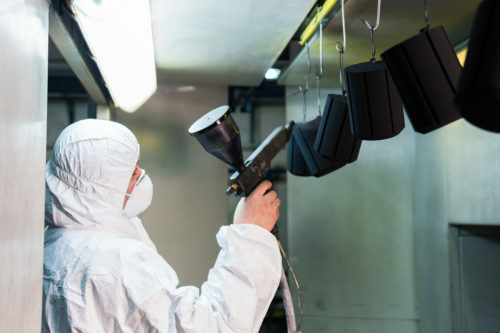 We apply coatings using electrostatic spray guns, which allow for a high level of flexibility regarding the size of the part being coated. Using this method, we can apply either a nylon thermoplastic coating or a common thermoplastic coating on the substrate. Coating thicknesses applied based on customer specifications, design requirements and product specifications. With high volume part quantities and blanket orders we can provide a shipping schedule to meet your production requirements. Other options available for 24-hour service, one week, and combined inventory processing.